The Canadian Government is planning to introduce new legislation to modernize Canada’s pilotage service for commercial ships. The government has indicated that the amendments will focus on strengthening the governance of pilotage authorities, strengthening enforcement provisions, streamlining fee-setting and increasing transparency. The Canadian Chamber of Marine Commerce (CMC) welcomed the Federal Budget plan, noting that the system has not been overhauled in 45 years. “Pilotage costs in Canada are out of control and have a long history of increasing at rates that far exceed inflation,” said Bruce Burrows, president of the Chamber of Marine Commerce. 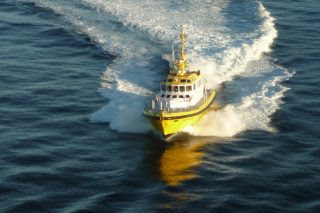 In ports and other specific channels, ships are mandated by law to have a pilot come on board to help with navigation. Most of the 3,700-kilometer Great Lakes-St. Lawrence waterway is within a mandatory pilotage zone as are other areas along the east and west coasts of Canada. The rationale is that a Canadian-licensed pilot will navigate the challenging areas where the ships’ crew may not have traveled often and know the potential hazards. This is an important safety measure, however, problems exist on how the service works. As explained by CMC, with just over 400 pilots in Canada, pilotage is managed by four federal crown corporations, each with their own set of regulations, operational procedures and management practices. CMC added that in many of the pilotage zones, archaic and cumbersome rules make it almost impossible for domestic ship masters and mates to be certified to pilot their own vessels, despite having similar local knowledge and expertise and having access to state-of-the-art navigation and traffic control management systems. Ship operators, ports and customers alike are pushing a host of reforms, including having the government create a standardized and improved certification program for domestic crews across Canada. According to CMC, fees, salaries and benefits paid to licensed pilots averaged CAD 376,500 (USD 282,209) per pilot in 2016, increasing 3.4 times more than CPI over the last five years. On the St. Lawrence River, for example, the hourly cost of pilotage exceeds the total cost of the entire crew of a vessel.